A similar highway named Madhya-Pahadi Lokmarga (mid-hill highway) is under construction which will also connect eastern Nepal to far western region but it runs further north through the hilly districts. Literally, Hulaki means Postal in Nepali language. During the Rana regime (1846-1951) the Hulaki route was used to transport Mails by postman. 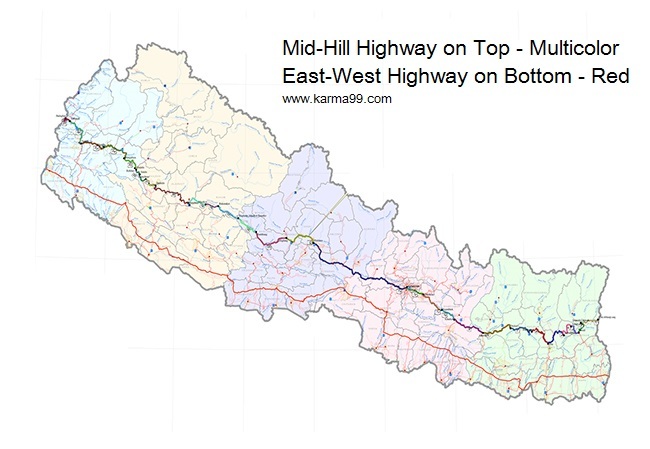 When the Mahendra Highway was planned in 1970s Hulaki route was one of the route proposed for the Highway. But the developers at that time decided to run the highway little bit north through the foothills of chure. Many parts of the Hulaki highway is already existed in different names. These are the key points and districts on the way of Hulaki Highway. Hulaki Road are the feeders that connect Hulaki Highway and Mahendra Highway. 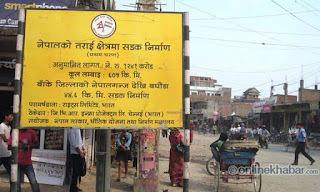 There are 19 hulaki feeders in terai districts.